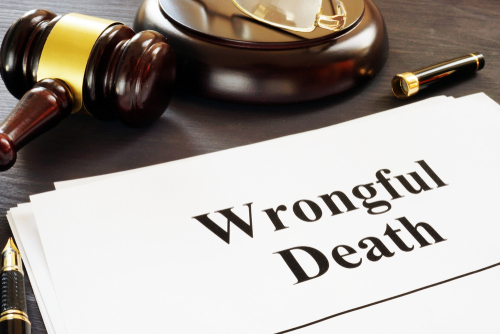 A wrongful death claim is a legal claim (lawsuit) brought against a defendant when he or she causes the death of someone else via negligence or intentional wrongdoing. A wrongful death claim allows the estate of the person who died, and his or her family, to be compensated for their losses. Like type of personal injury claim, wrongful death claims require the person filing the claim (plaintiff) to follow guidelines and prove fault. In-depth and precisely, this article aims to answer the most common frequently asked questions about wrongful death laws. Most wrongful death claims are the result of negligence, but many are the result of wrongdoing. Immediate Family: Every state recognizes the spouse, children, and parents of a victim, and allows these parties to file wrongful death claims. Life Partners: Some states also permit a domestic or life partner, or a “putative spouse” (someone who believed themselves to be married to the victim) to file wrongful death claims. Distant Family: Some states allow distant family members to file wrongful death claims, such as siblings or grandparents. Injured Parties: Some states allow injured parties who are not related to the victim to file, or participate in, wrongful death claims. One example is that of a business partner or other party who suffer physically or financially from the death. Parents of a Fetus: In some states, parents who have lost a fetus due to an accident, injury, or death are able to file a wrongful death claim. Other states only permit parents who have lost a fetus to file a claim if the child was born alive and then later passed away as a result of injuries. Who Can be Sued in a Wrongful Death Claim? Healthcare Providers: Doctors, nurses, surgeons, therapists, or nursing home caregivers. Drivers: Anyone who is negligent and causes a car, truck, motorcycle, bicycle, or pedestrian accident. Manufacturers: Product manufacturers or distributors who design, create, or distribute products that are not properly tested and approved for consumers. Property Owners: Property owners who fail to maintain the premises, fail to make repairs, or fail to warn visitors. Government Agencies: Government agencies that fail to warn about, or repair, road hazards, sidewalk hazards, or other dangers on government property. Bar/Restaurant Owners: Bar or restaurant owners who serve alcohol to minors or those already intoxicated. These are some of the examples of defendants commonly named in wrongful death cases. Every case is different, and there are many possible defendants in such cases. If you have lost a loved one due to negligence or wrongdoing, of course your life has been dramatically changed. As you heal, you may find that filing a wrongful death claim is your best option to recover financially, and ensure that a guilty party is held responsible. By working with a wrongful death attorney, you can be confident that your case is strong, and that you have legal support as you file your claim. A skilled attorney can also help maximize your recovery.